Hello fellow XJ owners and interested readers! I have been motoring along in my XJ12 quite happily for some time now. But one day last month, my trip was cut short due to a sudden and disturbing massive oil loss. After passing by a group of slower vehicles on the freeway, I first noticed the smell. I didn't see any smoke anywhere in front of me. But when I looked in the mirror, I was shocked to see my car trailing a heavy blue cloud! Moving over as quickly as I could, I came to a stop in a huge cloud of dust and smoke. The engine was running and I noticed the oil light and zero oil pressure, just before I quickly shut down and got out. A good samaritan whom I had just passed was kind and concerned enough to stop behind me to be sure I was alright. We could see the oil draining off the entire underside of the car. There was a lot of smoke. I was very concerned and a little embarrassed! Slowly, the smoke subsided. I began the investigation soon after returning home on the flatbed. The oil filter was intact. I couldn't see any source of a leak anywhere, even after removing the left front wheel. I added more oil and started her up to make sure no damage was done due to lack of oil. The engine idled just fine, but the oil was gushing out! What a mess. 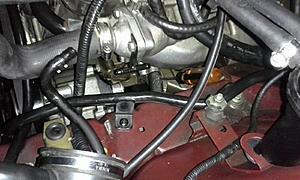 Next day, I disassembled the left air intake and air pump hoses to look deeper. I eventually discovered a small hole in the top of the oil cooler hose right near the exhaust manifold. So then the car went to the shop for rebuilding of the hoses. The shop replaced both cooler hoses with new hose, but didn't actually "rebuild" them using similar fittings or collars. They only removed the old dry hoses and clamped new hose sections onto the existing metal sections of pipe, using standard hose clamps. I have doubts about the durability of this repair. Anyone have any input regarding this method of hose repair? The oil line that failed has the metal to rubber transition right near the exhaust manifold. It probably would have been better (and a better design) to extend the metal pipe section further away from the manifold. Nonetheless, that hose endured 22 years and 92,000 miles of extreme internal and external heat! Be aware of this, fellow XJ12 owners (and V12 XJS owners too). That hose will fail sooner rather than later at this age. I'm not the first to experience this either! I think the repair job wouldn't be too difficult with the car on a lift. Not having one, I left this job to the specialist. 1 of 19, have yours been done?? I have not replaced any of mine to date. I have not checked the condition of either and will be doing so directly. This is what makes this forum rock. Information shared. I usually park on gravel so hadn't noticed until now, after I placed a drip pan, that oil is leaking out of the repaired connections at no less than three locations. 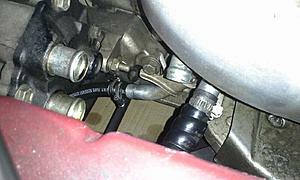 The largest leak is from the connections of the pipes above the oil filter. My guess is that the O-rings were not replaced. The original hoses were metal-reinforced and looked bigger than the replacement hoses, which are not labeled as oil-resistant and seem quite soft. I suppose they will last a while, given proper connections, although it seems like the hot oil will degrade them after a few years. The pipe/hose closest to the manifold (where my leak was) has a black coiled heat shield around it, about 6 inches long. I believe it is supposed to be located right up near the manifold. I found that mine had slipped down the hose and so had no effect, probably for a long time. Even if it is in position, at this age those hoses are probably crispy and in need of replacement in most cars. Just be sure of the method and materials your shop plans to use to "rebuild" those hoses. This was not what I expected. After more investigation, I discovered the shop's method of repair of the oil cooler lines, and the reasoning behind it. I did this on my own without again consulting the specialist that did the work, since they lost my trust after committing so many blunders (with other work they did too), and not owning up to them. The two metal crimp connections and two push-on fittings for the oil cooler were all cut off. New barbed pieces of aluminum pipe were welded onto the ends of the old pipes, and new hose was installed with simple hose clamps. I later doubled-up the hose clamps because of the leaks. The large leak in the area near the oil filter was not from the cooler pipes connection above it, but from the new oil filter, which was loose! Silly and careless. I looked up the type of hose they used for the repair. Continental etc. etc. Turns out it is a reinforced 300psi highly oil resistant hose. Great! But... it is only rated for 88C/190F. The engine oil gets hotter. In the near future I can replace the hoses with the high-temp version easily, thanks to the new barbed connectors. I was surprised that the shop did not at least reuse the push-on connectors for the oil cooler. Seems that would have been easier for them rather than welding new connectors on. But they did a number of things with my car that I didn't understand or agree with, especially considering their so-called expertise with the marque. I corrected several other things myself too. So far, so good, knock on polished burl walnut! It appears that the genuine "inlet" hose MNA7460BA is still available, although pricey at around $200USD. The "return" hose MNA7461BB seems to be NLA though ....but maybe you could find is NOS somewhere. An alternative would be to use the original hose, or find some other old used ones, and take them to a hydraulic hose shop. I'm sure they could take the original fittings and properly attach new flexible hose in-between. I guess that may not be an option if your shop mangled the original connectors on the oil cooler itself though. 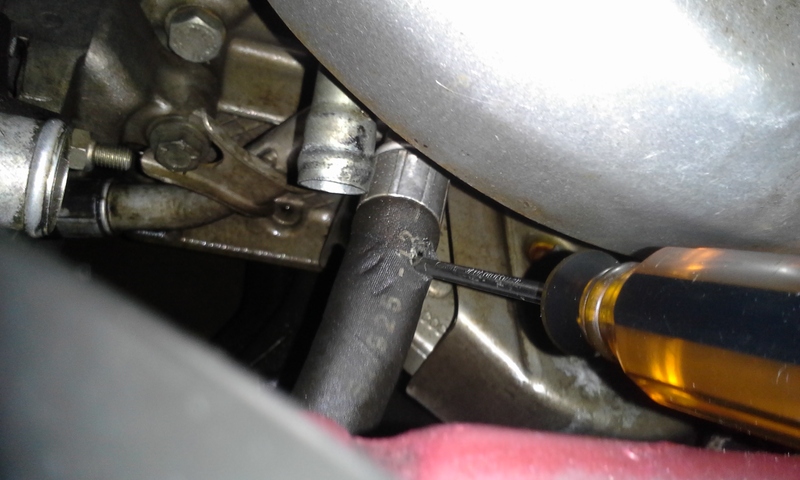 So, quick question, how exactly does one undo and remove the push connectors on the oil cooler end of the hose? I have a V12 cooler, but the hoses were cut off and the push on connectors are firmly on the cooler and I don't want to destroy them. 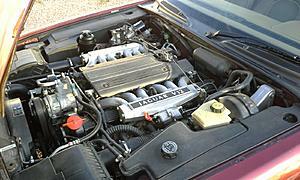 I'm planning on using the cooler on my XJR as an oil cooler or maybe a piggy-back intercooler radiator. An alternative would be to use the original hose, or find some other old used ones, and take them to a hydraulic hose shop. I'm sure they could take the original fittings and properly attach new flexible hose in-between. My assumption was that the shop was going to do exactly that. Their repair method was more complicated than simply replacing the rubber sections of the original pipes using proper crimp connections. 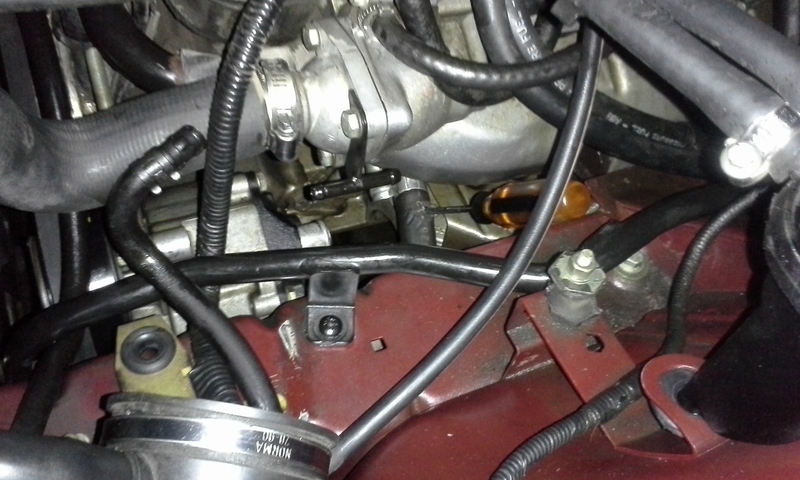 Perfect, the articles show the oil line quick-connects disconnect just like most modern fuel line connections! Thanks for the link to the articles. Sorry to hear that the shop didn't do such a good job.